From lunchtime BBQs to our annual Pride Week, campus events are a huge part of what makes our diverse Melbourne community so welcoming. 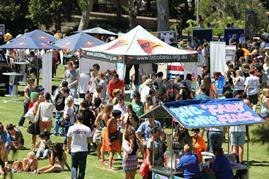 Find out about events organised by our vibrant community of student clubs and associations. Spot possums, bats, geckos and more as you learn about Melbourne's natural history on one of our Wildlife Sanctuary tours. Hear from some of Australia's leading thinkers on the critical issues of our time, from climate change to the role of universities in the 21st century.